Most optimized HIFU technology ever, unique and effective aesthetic device built on ultrasound technology to deliver face-lifting & costume contouring fat reduction for body. 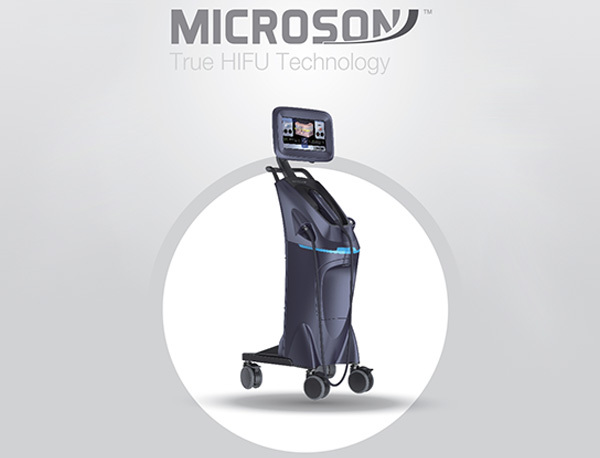 The Microson is HIFU (High intensity focused ultrasound) system facial lifting by producing focal thermal coagulation points (TCPs) at the superficial musculoaponeurotic system (SMAS), deep dermis & subcutaneous adipose tissue. The Microson is non-invasive, non-surgical ultrasound lifting system provides facial, and body lifting effect without causing superficial damages. 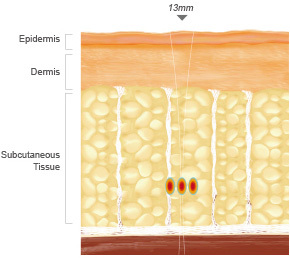 The SMAM layer is an area of musculature of the face that exists in 4.5mm depth from the skin surface. The SMAS layer is composed of collagen and elastic fibers and plays role of delivering muscle contractions to the skin surface. The Microson technology enables non-surgical face lifting by producing TCPs in SMAS layer. Temperature of the fat layer induces reduction of the fat layer through the coagulation necrosis of adipocytes at over 56 degree. Efficiently reduces the fat layer by applying HIFU onto 13mm depth from the skin surface at the part with thick layer in the body such as the abdomen area.